Ross is an English-qualified corporate partner with more than 16 years’ experience. 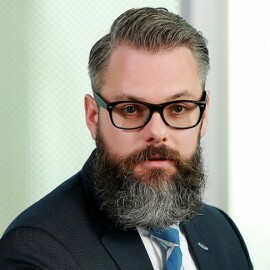 He co-leads the Clyde & Co global education team, which comprises specialist lawyers across a range of disciplines, including corporate, commercial, regulatory, dispute resolution, employment, intellectual property, technology, banking and finance, Islamic finance, construction and real estate. The global education practice provides joined-up commercial, pragmatic and innovative advice to education sector clients on all aspects of their business. The team operates across the firm’s global network of 50-plus offices, with a particular focus on the Middle East and North Africa region, Asia (from offices in Beijing, Chongqing, Shanghai, Hong Kong and Singapore), Africa, India, Australia and the UK. Ross regularly advises investors and international operators on education investments, market entry, international expansion, and corporate and regulatory matters. Ross is based in the United Arab Emirates, but operates on a global level, supporting education clients on their international expansion.